This ain’t your Momma’s meatloaf. 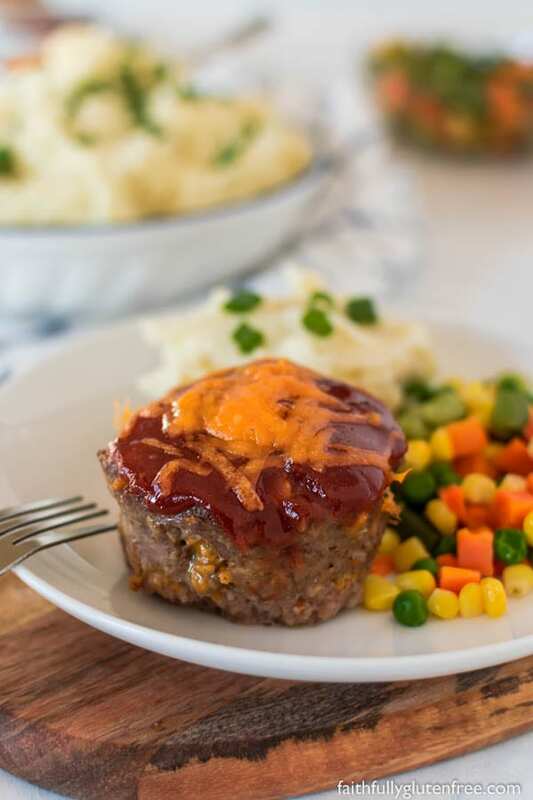 These mouthwatering Mini Meatloaves, which have cheese mixed right in and are topped with a sweet sauce that gets baked in, have been one of our family favourites for years. Every now and then, you come across a recipe that makes it into your family’s regular rotation. 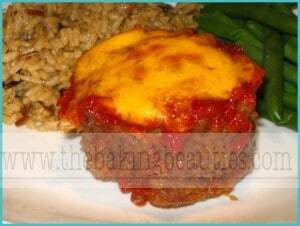 This recipe for these mouthwatering Mini Meatloaves is one of those recipes for my family. I’ve been making these for over ten years already, and they are still one of my husband’s favourite meals. 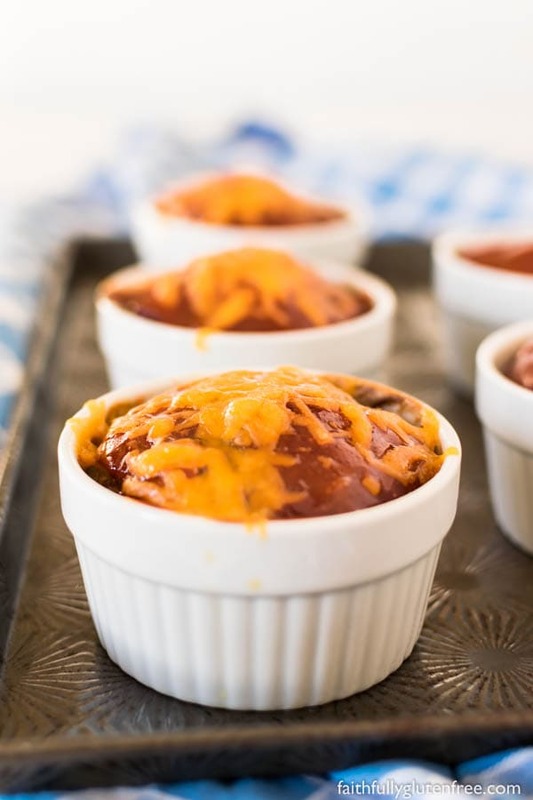 Instead of the meatloaf being baked in a large loaf pan, these mini meatloaves are baked in individual ramekin dishes. I used to bake them in non-stick muffin tins, but the high fat in the ground beef caused the tins to peel. Six ounce ramekins work great though, and if you want, you can even serve them in the ramekin. We like that there is shredded cheese mixed into the beef mixture, and that it also tops the meatloaves. But our favourite part is that sweet sauce that gets baked onto the meatloaves – a combination of brown sugar, ketchup, and mustard. If you want something a little different, you can add a little gluten free smoky BBQ sauce to the ketchup mixture for a nice flavour. This ain't your Momma's meatloaf. 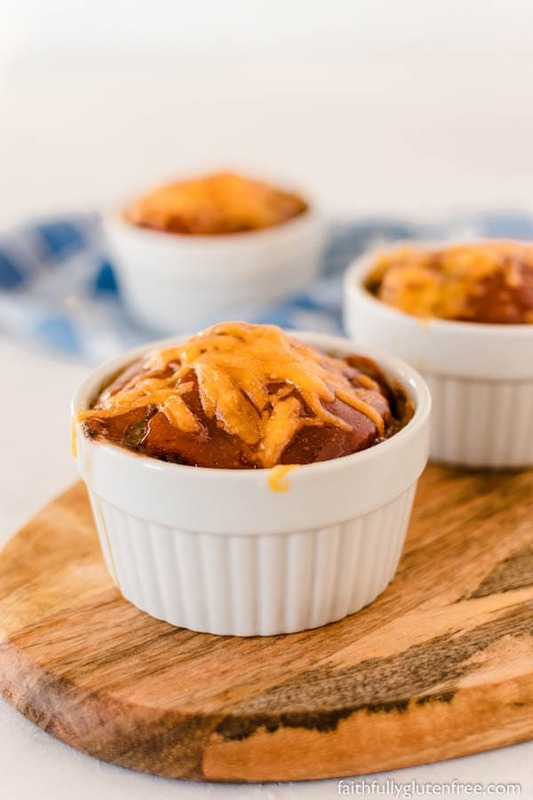 These mouthwatering Mini Meatloaves, which have cheese mixed right in and are topped with a sweet sauce that gets baked in, have been one of our family favourites for years. Preheat over to 350 degrees F. Place 6 or 7 ramekins on a parchment lined baking sheet (this makes for easier clean up). In a large bowl, combine the ground beef, 1 cup cheddar cheese (leave 1/4 cup to sprinkle on top later), milk, rolled oats, egg, Worcestershire sauce and onion. Mix well & fill ramekins 3/4 full with meat mixture. Combine ketchup, brown sugar & mustard. Top meatloaves with the sauce. Bake uncovered for 30-40 minutes. Top with remaining shredded cheese, and bake until melted. 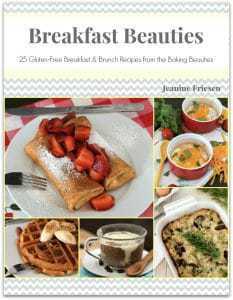 Recipe and images updated March 2018. Yup – mouthwatering indeed. I want one! Can I come for dinner? I forsure want to try these Jeanine! They look yummy! 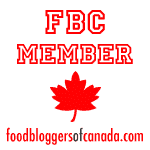 What if you don’t have ramekins ? You can use a muffin tin, Karen. they work great too! Can this be made as a traditional meat loaf, (like in a bread loaf pan), and if so how would ingredients and cook times need to be adjusted? Thanks so much! I’m sure you could, Heather, but I never have. We like the mini’s, and the amount of “sauce” on each one is perfect for my family. You’d have to increase bake time, probably an hour or more for a meatloaf (I haven’t made it that way in years! ).